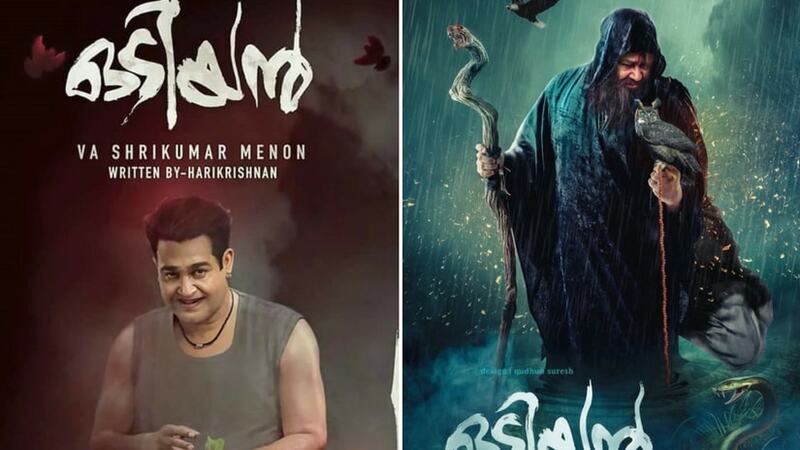 Mohanlal's most-anticipated fantasy thriller Odiyan, directed by senior ad filmmaker VA Shrikumar Menon, has been confirmed to hit screens on 11 October for the Navratri festival weekend. Tipped to be Mohanlal's most expensive film in his career, Odiyan is bankrolled by Antony Perumbavoor under the banner Aashirvad Cinemas. Shrikumar Menon has said that Odiyan is based on magical realism and Mohanlal plays Odiyan Manikyan, the last surviving member of the Odiyan tribal community, in the film. In Kerala folklore, Odiyans are said to be highly-skilled assassins who possessed shape-shifting abilities and disguised themselves as animals to escape from enemies and scare them. The second teaser of the film, which was released two days back, shows Mohanlal coming out of a house and covering his upper body with a black shawl, accompanied by an electrifying background score. Set in the period between the 1950s and 1990s, Odiyan features Prakash Raj and Manju Warrier in essential roles. The project also marks the reunion of Prakash Raj and Mohanlal two decades after Mani Ratnam's classic political drama Iruvar, which landed the former his first National Award. Innocent, Siddique, Manoj Joshi, Nandhu, Narain, Kailash, Sreejaya Nair, Sana Althaf and Appani Sarath of Angamaly Diaries fame form the film's supporting cast. The project is set in the backdrop of Thenkurissi located in the Palakkad district of Kerala and will capture the pre-electricity era of the region. While National Award-winning writer Harikrishnan has penned the screenplay, Shaji Kumar, who cranked the camera for Pulimurugan, has handled the film's cinematography. Peter Hein has choreographed the stunt sequences, and Jayachandran has worked on the film's songs. The 12-minute-long stunt scene in the climax is said to be one of the highlights of the movie. Vikram Vedha composer Sam CS has been roped in for the background score of the film. 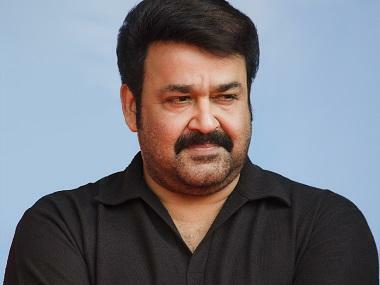 Mohanlal will appear in three different looks in the film between the age of 30 and 65. His younger avatar stunned everyone when the motion poster was unveiled in 2017. 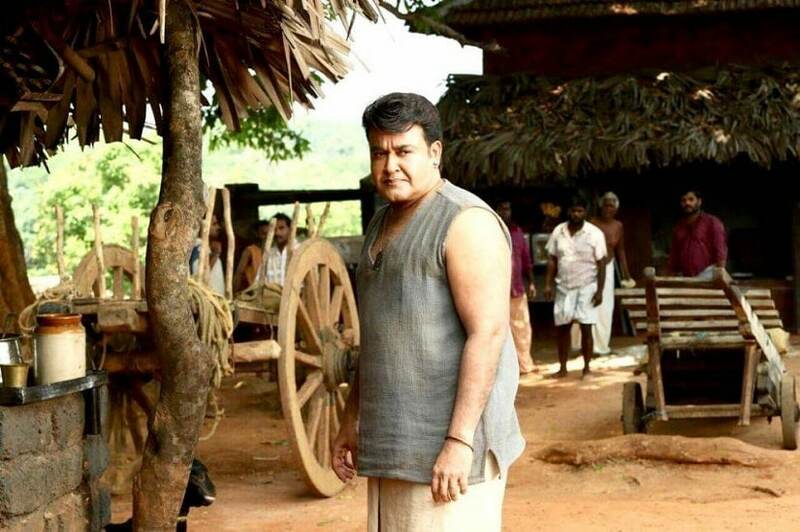 Mohanlal shed 18 kilos for the younger version of Manikyan in the film by undergoing a rigorous fitness regime. A 25-member expert team from France, which comprised a team of trainers, masseurs, yoga masters and dermatologists, helped him with the transformation, which made heads turn when the look was released. Famous VFX company NY VFXWAALA, headed by Bollywood actor Ajay Devgn, is handling the visual effects of Odiyan. Best known for working in films such as Baahubali 2, Dangal, and Bajirao Mastani to name a few, the studio has been assigned some crucial sequences to work on in the post-production stage. Mohanlal is currently awaiting the release of thriller drama Neerali on 13 July. The film directed by Ajoy Varma and produced by Santosh Kuruvilla's Moonshot Entertainment stars Parvati Nair, Nadhiya, Nassar, Suraj Venjaramoodu, and Dileesh Pothan in important roles. Mohanlal has also wrapped up the shooting of director Ranjith's family entertainer Drama, which is presently in the post-production stage. Jointly produced by MK Nassar and Maha Subair under the banners Lilypad Motion Pictures and Varnachithra Good Line Productions, Drama stars Kaniha, Asha Sharath Arundhathi Nag, Siddique, Subi Suresh, Niranj, Shalin Zoya, and Tini Tom in pivotal roles. Now, Mohanlal is busy shooting for director KV Anand's Suriya-starrer Suriya 37 in London. 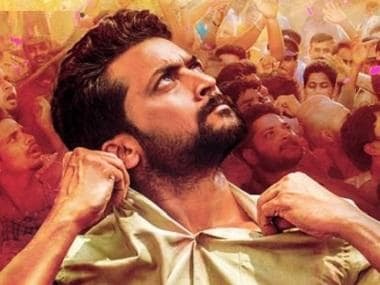 The project produced by Lyca Productions is touted as the most expensive film of Suriya's career. The shooting pictures of Samuthirakani and Mohanlal, who were last seen locking horns in Priyadarshan's 2016 crime thriller Oppam, were doing the rounds on Twitter a few days back. Another most anticipated project of Mohanlal this year is period magnum-opus Kunjali Marakkar: Arabikkadalinte Simham (Marakkar: The Lion of the Arabian Sea) directed by Priyadarshan. The movie, which is based on the life of naval chief, Mohammed Ali - Kunjali Marakkar IV and his valiant efforts against the Portuguese on the West coast in the 16th century, will start rolling from 1 November. Filmmaker Major Ravi, best known for his work in award-winning war-based movies such as Keerthi Chakra and Kandahar, will assist veteran director Priyadarshan.